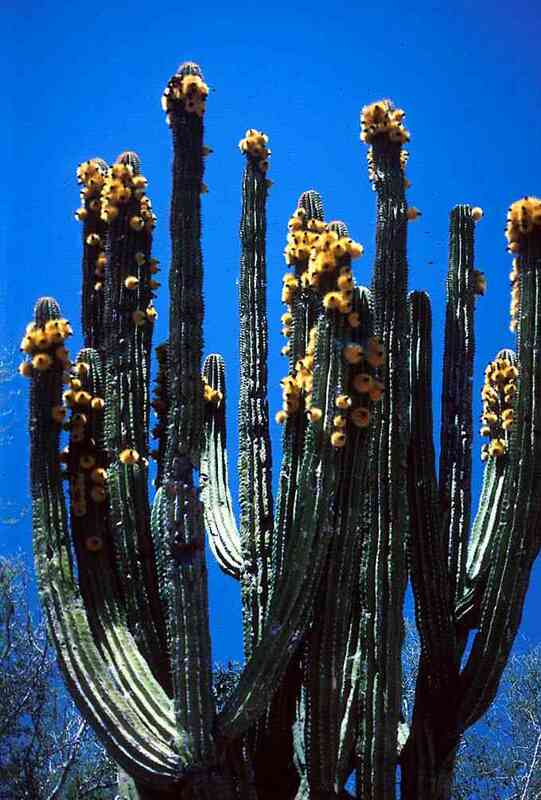 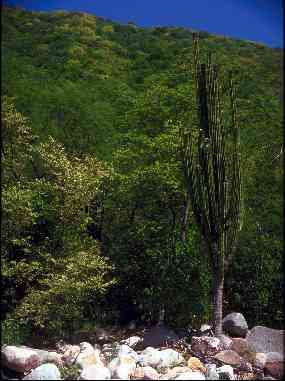 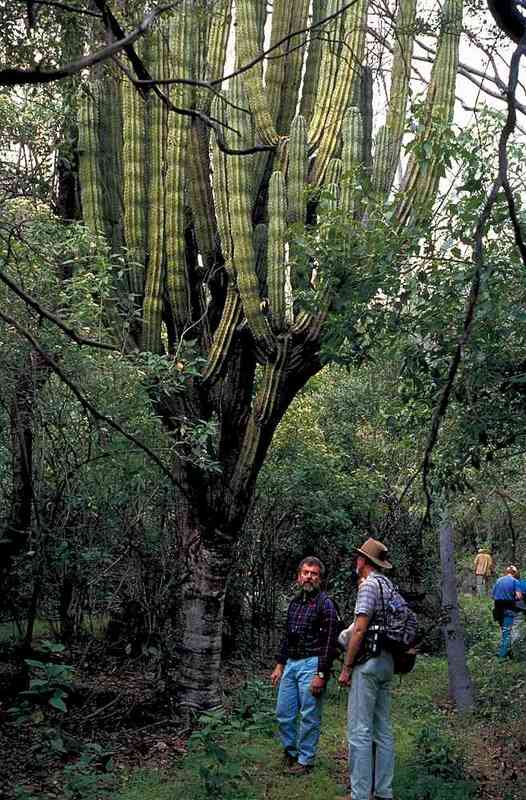 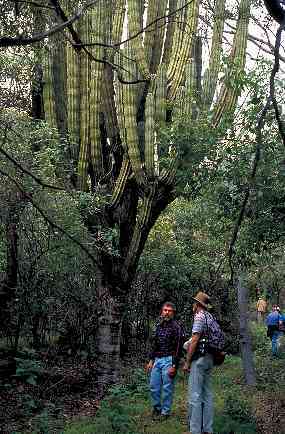 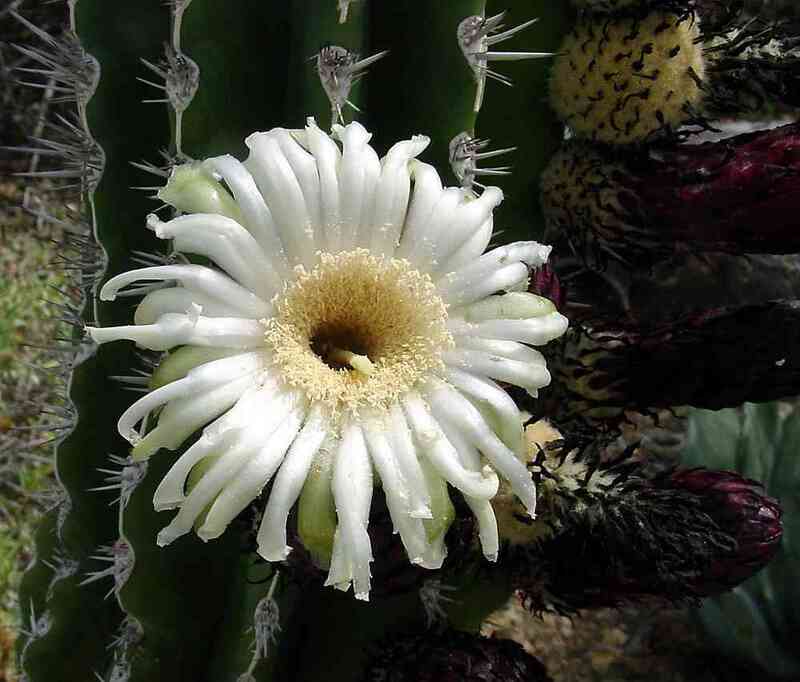 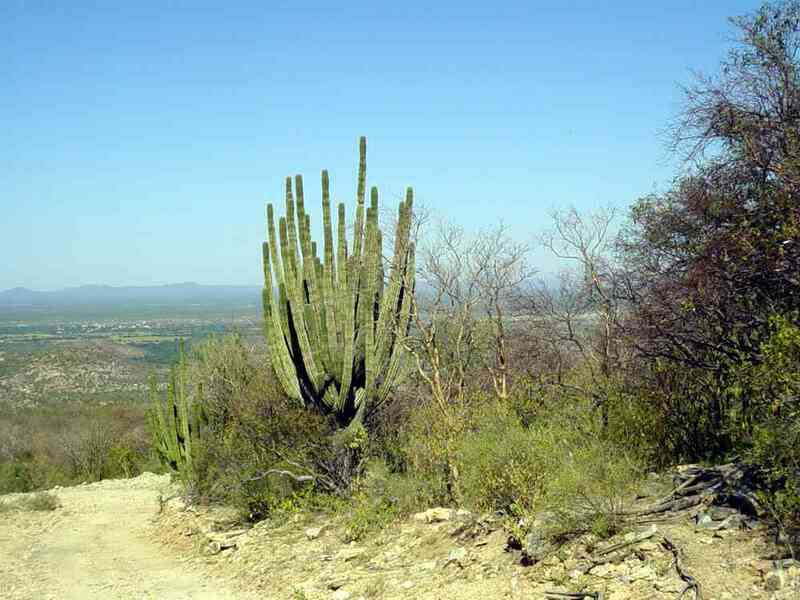 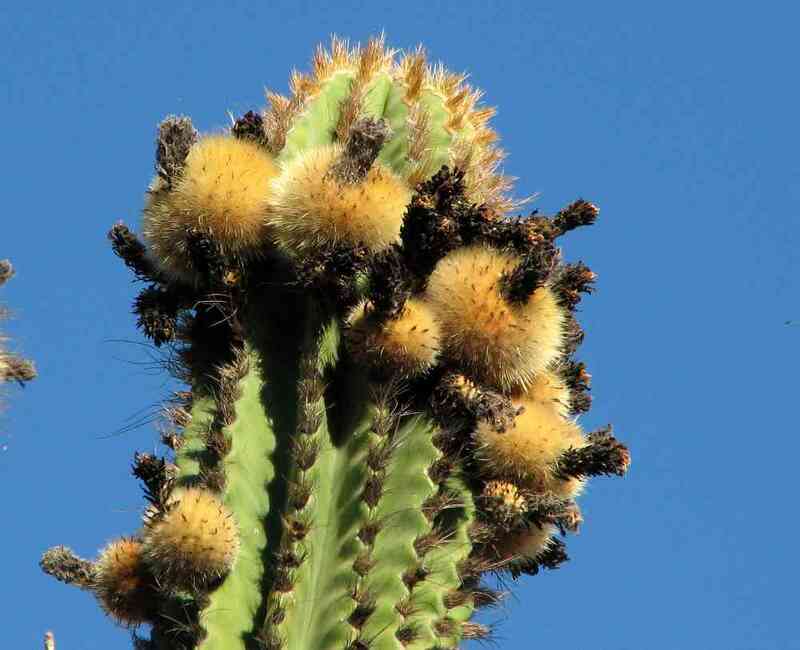 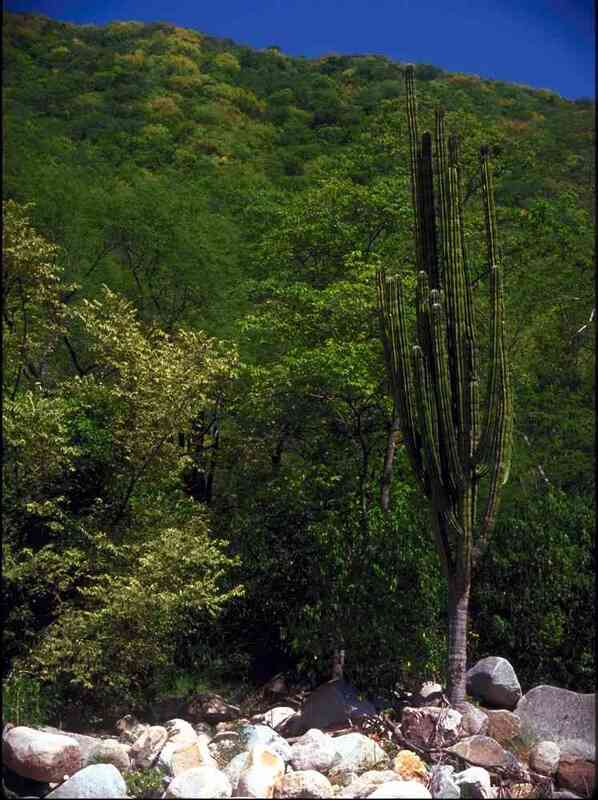 This is the most common columnar cactus in lower tropical deciduous forest of southern Sonora. 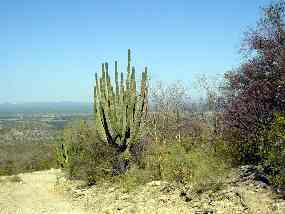 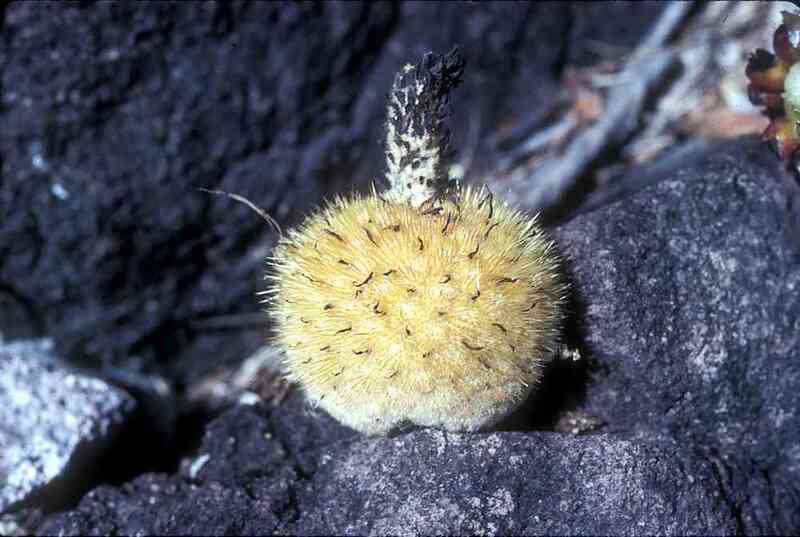 In upper TDF it is largely replaced by Stenocereus montanus. 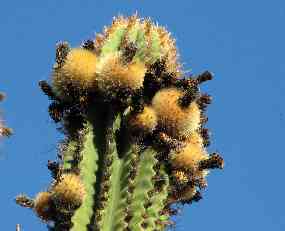 The nocturnal flowers bloom in January to March and are an important food source for migrating lesser longnosed bats (Leptonycteris curasoae).